It’s time for another week of waiting Guardians! Good thing we only have two left right? I’m making this short and sweet since there’s not much going on in the clan this week - but here are a few things to keep an eye on! 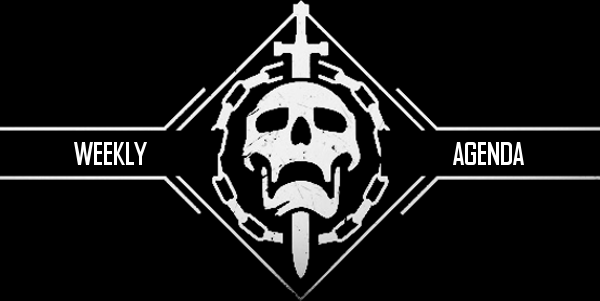 [Mandatory] Tuesday 7:00 PM EST - Reset Day, Nightfalls, Weeklies and whatever else you guys want to get done. [Mandatory] Wednesday 7:00 PM EST - Level 35 PoE Racing. Last week’s was awesome! If you're interested, sign up here. [Optional] Thursday 7:30 PM EST - If you want to help Evan get the ship from normal mode VoG, be sure to sign up here. I’m willing to bet one of you have something you want to get done this week that you can’t do by yourself. Don't be afraid to create a new event for it on the calendar. EDIT: Everyone needs to make sure they're still prepping for TTK. When it was initially announced that King's Fall would be delayed, we assumed for one week. We have just got word that it will be available to play on the 18th of September at 10:00 AM PST. We have a little breathing room, but we still need people to be raid ready by that Friday. If you are interested in having a dedicated fireteam to roll with on September 15th, please head over to this poll to sign up so we can start dividing you up into groups. That’s all we have for now, let’s have another great week!